Coming from a town just outside of Boston, Massachusetts, it’s been altogether too easy for me to love sports. Tom Brady has carried the Patriots to victory after nail-biting victory, and the lyrics to Sweet Caroline have been implanted in my head since I was old enough to stay awake for an entire Red Socks game. I can’t imagine a Sunday afternoon without my younger brother decked out in his entire football uniform, helmet and all, sprinting through the backyard and dodging imaginary defenders. New England sports has brought to light some of life’s most vital and philosophical questions; does Bill Belichick experience emotion? Growing up with such a strong and vibrant community around the East Coast region’s sports teams has brought me the confidence that only multiple Super Bowl rings can offer. The Cubs won the World Series in 2016, right around the time I was committing to North Park. I envisioned myself down at Wrigley Field; clad in blue and red and screaming when Anthony Rizzo jogged out to first base. Despite not having won any major titles since then, learning and becoming a fan of Chicago sports has been a huge part of my Midwestern city experience. It hasn’t stopped me from cheering the Red Socks to their first World Series win since 2013, but I am on my way to becoming a Chicago sports advocate. Chicago is known for hardworking people, who don’t shy away from a challenge, and their sports teams are no different. They will need all the determination they can get over these next few months. Many teams have started their season with less than ideal records, but coaches and players alike are poised for a comeback. The Blackhawks started off their season in great shape, with wins over the Ducks and the Rangers, and were poised to place as a Western Conference play-off team. However, something shifted in the team’s dynamic. Even head coach Joel Quenneville couldn’t figure out what was up, and after a seven game losing streak the Blackhawks decided to bring in some new management. Jeremy Colliton is NHL alumni, having played for the New York Islanders, as well as being a Canadian professional ice hockey coach and player. He’s confident that the team can use pressure and speed to their advantage, in addition to turnovers to strengthen their offensive lineup. Despite coming off a 15-28-6 regular season record in 2017, the Hawks are looking to fix their recurrent defensive problems and hopefully add some wins to their current record. Their November 14th game versus the Blues lended the Blackhawks another victory, 1-0. The Hawks do have a stereotype of their power plays being ineffective due to the search for “the perfect shot”, but Colliton seems to have rewritten the standard. They were patient, and it clearly shook out some tension in the team’s play. Andreas Martinsen added a lot to the game with a season high of 11 minutes of ice time; he brought some much needed aggressiveness to the team. He was vital to defending the team’s lead, and is a great protector of the puck. The Hawks have a long season ahead of them, and there is still time for them to come together as a cohesive team under new leadership. They’re coming off a 7-8-4 record, barely staying ahead of the Blues (6-7-3), who have slipped to last place. This season, the Bears are ranked first in the NFC North, and have a record of 6-3-0. In spite some questionable offensive choices, they’ve seen important victories over the Seahawks (24-17), the Cardinals (16-14), the Buccaneers (48-10), the Jets (24-10), the Bills (41-9), and the Lions (34-22). This is their first year as NFC lead since 2013, and the team has a newfound confidence. The Bears have a wild card this year, relative rookie quarterback Mitchell Trubisky. His early career success and one of the most well-crafted offenses in the NFL could lead the Bears to a potential Super Bowl run, which would be their first playoff appearance since 2010. The Bears are also operating under a new head coach. After spending three seasons with the Bears, John Fox was fired on January 1st, 2018 with a 14-34 record. Former Kansas City Chiefs offensive coordinator Matt Nagy was hired in his stead and under his influence, the Bears have seen some successful risks. In the third official week, Nagy opted to bench his starting line up, and play only second-string offensive players. This proved to be an excellent decision, with a 27-20 victory over the Chiefs. Nagy’s strong offense highlights the teams’ strengths, and the return of linebacker Khalil Mack catapulted the Bears to a 34-22 victory against the Lions on November 11th. Trubisky is flanked by talented running backs Jordan Howard and Tarik Cohen, and the team continues to grow as receivers Allen Robinson and Anthony Miller improve steadily game by game. Their defense leads the NFC in forced turnovers, which could lead them to more victories as the season progresses. The team has a full and competitive schedule; upcoming games include the Vikings (5-3-1), the Giants (2-7-0), and the Packers (4-4-1). The Chicago Bulls are struggling to stay competitive after losing key players Lauri Markkanen, Kris Dunn, and Bobby Portis to injury. They won’t be back until at least early December, and the basketball team needs wins, and soon. The Bulls are ranked 12th in the Eastern Conference, and have a record of 4-10. Currently, Zach LaVine is acting as primary ball handler and is one of the NBA’s top scorers, averaging 27 points per game. While this seems like a positive, it’s actually a blessing in disguise. LaVine has been heavily guarded in recent games, and he’s going to need the rest of the team to step up and start scoring consistently the entire game if the Bulls want to make an impact in the league. LaVine is carrying the team in terms of points, but Wendell Carter Jr. has a player efficiency rating of 18.6, and has been a key player as well. Small forward Justin Holiday is solid as well, averaging twelve points. 14 games in, the Bulls have been surprised by backup point guard Ryan Arcidiacono. Having only previously played 24 NBA games, he is now starting and averaging over 25 minutes per game. In those 25 minutes, Arch scores about 7.2 points with 4.5 assists. He also has the best assist to turnover rate in players averaging over 25 minutes per game, coming in at an incredibly high 5.90. Aggressive offensive and defensive play has been desperately needed within the Bulls, and no one would have expected a fringe player to utterly transform into a typical starter. With bright spots found in LaVine and Arcidiacono, unpredictable scoring is still one of the team's main setbacks. The Bulls most recent game against the Celtics on their home court in Boston was little more than a disaster. They lost 111-82, mainly by swarming LaVine and holding him to only ten points. Backup point guard Shaquille Harrison stepped up to the challenge, and was able to score a team high of 16 points in addition to four steals. The Celtics are currently ranked 6th in the NBA, and they proved they deserved that title. The Bulls don’t have time to rest; they will be playing back-to-back games against some of the East’s best contenders, the Milwaukee Bucks and Toronto Raptors. If the Bulls are to gain any more momentum, head coach Fred Hoiberg has to make some immediate changes to the team’s game plan. 13 years ago, the Eagles and Patriots met in Super Bowl XXXIX. After beating the Vikings and Falcons, the Eagles advanced to Super Bowl XXXIX where they dueled the New England Patriots. Coincidently, this postseason has seen the Eagles go the same route. The Eagles were the underdogs. The Patriots had won the previous year’s championship. During this time, Philadelphia was helmed by head coach Andy Reid, and quarterbacked by Donovan McNabb. Before the 2004 season, the Eagles acquired playmaking wideout Terrell Owens. He was a controversial player, as his sideline and touchdown celebrations made him divisive, prowess on the field made up for that. Although McNabb threw 3 touchdown passes and 357 yards in the game and the score was tied 14–14 going into the fourth quarter, the Patriots outscored the Eagles and scored ten straight points. McNabb completed a 30-yard touchdown pass, and the Eagles defense held the Patriots to a 3 and out, but a crucial interception with 46 seconds left on the clock secured their fate. The Eagles improved their 7–9 record from 2016, reaching a record of 13–3, tying the best record in franchise history, also achieved in 2004. Their win against the Los Angeles Rams allowed them to clinch the division title for the first time since 2013, but came with the loss of Carson Wentz to a torn ACL. A close win against the New York Giants in Week 15 helped the Eagles clinch a first-round bye for the first time since 2004. After Wentz went down, Nick Foles stepped in to start at quarterback. Foles, a former 3rd round pick of the Eagles in 2012 out of Arizona, has done a remarkable job leading this team. In 2013, he made his first Pro Bowl appearance after finishing the 2013 regular season with 27 touchdown passes and only 2 interceptions, surpassing Tom Brady's 2010 season posting of 36/4 for the best TD-INT ratio in NFL history. On March 10, 2015, the Eagles traded Foles, a 2015 fourth-round pick, and a 2016 second-round pick to the St. Louis Rams in exchange for Sam Bradford and a 2015 fifth-round pick. He was then released by the Rams after they drafted Jared Goff. He then signed with Kansas City, and reunited with former coach Andy Reid. In March, he signed with the Eagles. A Monday Night win over the Oakland Raiders allowed the Eagles to clinch home-field advantage for the first time since 2004 as well. The Eagles defeated the Atlanta Falcons 15–10 in the Divisional Round and won the NFC Championship game against the Vikings 38–7. The win against the Falcons in the divisional round was their first playoff win since the 2008 season, but the Eagles were the first No.1 seed in the playoffs since 1970 to be an underdog in the Divisional Round, as well as in the Conference Championship. In total 6 players were selected for the Pro Bowl, including 4 receiving it for the first time. They will face the New England Patriots in their first Super Bowl appearance since 2004, where they also played against the Patriots. The Philadelphia Eagles entered their first playoff game since 2013 as the first ever number one seeded team to be an underdog in the playoffs. The Eagles relied much on their defense all game as the offense moved the ball much. On a last-minute play on their own two yard line, the Eagles stopped the Falcons on 4th & Goal to seal a 15-10 win. The win kept the Eagles alive and gave them a spot in the NFC Championship game. The Eagles once again entered the game as the underdogs to the NFC North champions, Minnesota Vikings. This was the Eagles first NFC Championship appearance since the 2008–09 NFL playoffs. The Eagles kept the Vikings to only seven points, which came on the opening drive touchdown pass. The Eagles scored 38 unanswered points to win 38-7 and advance to Super Bowl LII, their 3rd ever Super Bowl berth. The Eagles will be playing their Super Bowl XXXIX opponent, New England Patriots and will be looking for their first ever Super Bowl win. The New England Patriots have been the undisputed best team in the league for almost 2 decades. The combination of head coach Bill Belichick, and quarterback Tom Brady, the Patriots are undoubtedly the most dominant dynasty in football. Belichick, who has coached the Pats for 18 years, is a guru with his “Next Man Up” philosophy. His coaching style prepares players in practice for even the most unlikely event on gameday. He also is the team’s general manager, and he handpicks personnel who fit his scheme. He has a very no-nonsense approach when it comes to player work ethic and discipline. The New England Patriots entered the season as the defending champions of Super Bowl LI. They failed to match their 14-2 record from last season with their Week 14 loss to the Miami Dolphins. Despite that, in Week 15, the Patriots secured their 9th consecutive AFC East title, their 15th of the last 17 seasons, with their victory over the Pittsburgh Steelers. Following their win over the Buffalo Bills in week 16, the Patriots obtained their 8th consecutive 12-or-more win season stretching all the way from 2010, an NFL record. Their Week 17 victory over the New York Jets clinched their top seed in the AFC for the second straight year, thus giving the Patriots home-field advantage throughout the entire AFC playoffs for the second year in a row. They defeated the Tennessee Titans in the Divisional Round 35–14, and the Jacksonville Jaguars in the AFC Championship Game 24-20, claiming their second AFC title in two years. This would be their seventh consecutive AFC Championship appearance, adding onto their record from the previous year. The win also made Tom Brady the oldest quarterback (40 years, 163 days) to win a playoff game, surpassing Brett Favre for the record. It is also the second time they advanced to the Super Bowl two times in a row since 2004. They will face the Philadelphia Eagles in a rematch of Super Bowl XXXIX. This also makes the Patriots the only team in NFL history to appear in 10 Super Bowls, and have a chance to repeat as back-to-back Super Bowl Champions for the second time in franchise history. In addition, they have the chance to tie the Pittsburgh Steelers for the record of most Super Bowl wins in NFL history with 6. The keys to an Eagles victory are simple: Pressure Tom Brady. Brady is most comfortable in the pocket, so the Eagles need to rattle him. They have a ferocious pass rush consisting of Fletcher Cox. Brandon Graham, Timmy Jernigan, Chris Long, and rookie Derek Barnett. They also need to keep Brady off the field as much as possible. 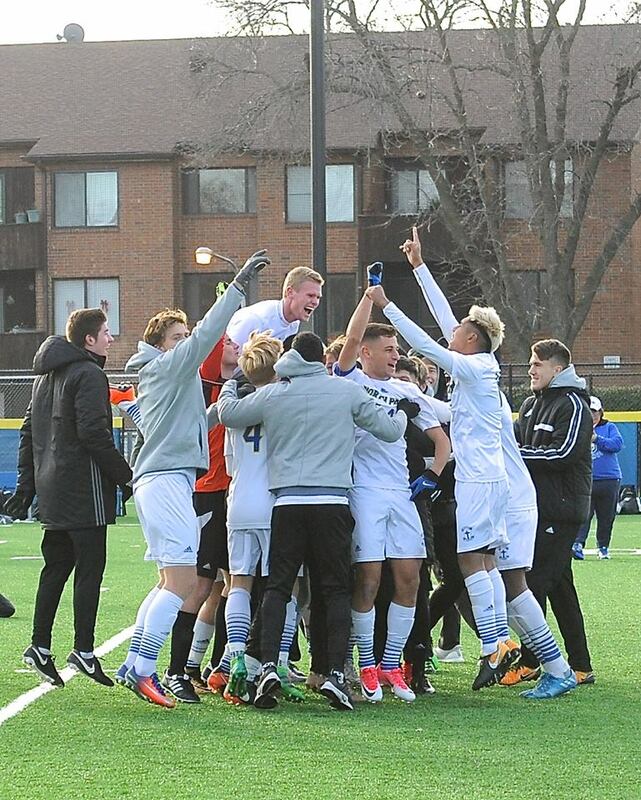 It was a cold and windy day when North Park Men’s Soccer defeated St. Thomas and effectively advanced to the NCAA Final Four set to take place in North Carolina. The ongoing season has marked several historical achievements by the team and it stands as the best season in North Park school history for Men’s soccer. Thus far the team stands as CCIW Champions, CCIW Tournament Champions, and also came out victorious against rival teams like Wheaton College and UChicago during the regular season. Standing with a record of 19-1-1 and currently preparing for the upcoming NCAA Final Four, I decided to sit down with three of the players that have been instrumental in the historic season. Carel Kawele-Kuzona. 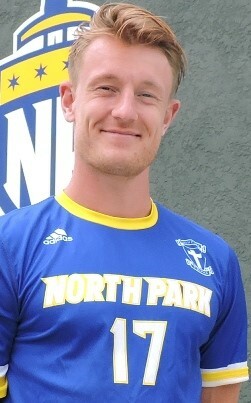 Photo courtesy NPU Men's Soccer. All players were selected into CCIW First Team All-Conference. Tell us about yourself, how did your soccer career start, where have you played before North Park? Carel Kawele-Kuzona: I actually never planned on playing soccer for a club team; I was mostly playing in school with my friends during breaks. One time one of the teachers at my school came up to me and wanted me to practice with his youth club team. I decided to try it and eventually got the chance to train for one of the best youth academies in Sweden, since then my career just went upwards. Jason Gonzales. 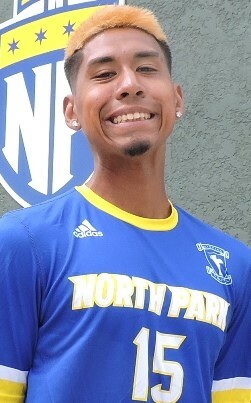 Photo courtesy NPU Men's Soccer. Jason Gonzalez: My career started young, my dad had me playing at age 3. My dad was a huge influence in my life, as far as soccer he always had me training with kids older than me and taught me to train individually as well. I played club and high school for Main West High School and Raiders FC. While playing nationals for my club team I got to travel all over the nation and that’s when I got in contact with North Park. Matias Warp: I started playing soccer at the club level by age 16 during my high school years. At age 18 I was able to transfer to the youth team of Mjøndalen IF, at the time they were playing in the second-tier division of Norwegian soccer. I played both for the youth team and the reserves before managing to train and play a few games with the first team. During my final season in Norway, I tore my ACL and that summer I decided I wanted a change and pursued playing college soccer in the United States. Which player(s) influenced your playing style? Carel Kawele-Kuzona: I would say Ronaldinho, Cristiano Ronaldo, Didier Drogba and Zinedine Zidane. They were truly great players and I’ve always tried to conduct my playing style after those players. Matias Warp. Photo courtesy NPU Men's Soccer. Jason Gonzalez: It’s hard to believe, but Stephen Curry from the Golden State Warriors had a huge influence on me. Watching him play for Davidson, and seeing him go from being the underdog to where he is now which is a two time MVP, it’s super motivational. He definitely pushed me to strive to be better and whenever I felt like giving up he just gave me the strength to keep going. Matias Warp: Roberto Carlos! The shots, the aggressiveness, the speed. What’s the biggest key to North Park’s success this season? Carel Kawele-Kuzona: The biggest key is our work rate; we really work hard and have good team chemistry. I can say in the most humble way I can that I believe we work harder than our opponents. Winning all of those games is because of our discipline in incorporating the game plan the coaches wants us to play. It has been essential to our success. Jason Gonzalez: I believe it is our hard work and dedication. We have a young team combined with a strong number of seniors. The combination of the under class-men wanting to be better than the upper class is amazing. It makes each player better on and off the court. There are times we get so heated at practice, but it’s only because we have that desire to win and to be the best. Matias Warp: That we are playing like a team. Teamwork is key and that was something we were lacking in past seasons where we had more individual shows. The current goal of the season has to be to win it all, how does that feel? Carel Kawele-Kuzona: It feels like a challenge that we can take on with no doubt. We have proved that we are the best in our conference and that we are one of the best teams in the nation. It just feels right, we are where we are supposed to be and we are only going to elevate going forward. We deserve to win it all! Jason Gonzalez: It’s honestly still very crazy to believe. We knew from the beginning we had a very strong team, and now just 3 games away from taking the whole thing. It’s still shocking to me, but just extremely blessed to be a part of this amazing team of brothers. Matias Warp: It’s about time. It feels good, North Park deserves to be here, we should have been here before, but now that we are here it feels great. One piece of advice to future soccer squads of North Park Athletics? Carel Kawele-Kuzona: Work hard together! Get that mindset of seeing yourselves as champions even in the beginning and get to work. If you can’t see yourselves becoming champions then you’re just settling for mediocrity and that’s not what North Park Soccer is about. Jason Gonzalez: One piece of advice I give to future North Park squads is just never stop grinding. 4 years of college goes by so quick. If you think about it, it’s only 4 years to just give your blood, sweat and tears onto that field. Never stop giving your all no matter what, and lastly just enjoy it. The brothers I have around me and have known from this program and past soccer programs are just amazing. I know I have met long time friends on this squad and just enjoy every moment of it. Matias Warp: Never only think about your individual game. Soccer is very much a team sport and in order to gain success you have to play as a team. It won’t matter how fast, technical or strong you are, if you don’t play well as a team none of it will matter. The season has been a showcase of teamwork, dedication, and offensive soccer by the Vikings. One of the main changes from this season to past seasons is the emphasis of “on-the-ground” passing styles as the key behind the build-up play. I personally believe that several seasons were wasted with ineffective tactics in the build-up play and a lack of communication specifically between the midfield and offense. I don’t know if the coaches or the players are behind this change in gameplay - perhaps it is both - but nonetheless it has elevated this team in a tremendous way. North Park has had trouble with utilizing its squad potential in past seasons as it had several high quality players that failed to find their place in the gameplan. This season however has seen a remarkable change in that aspect as a majority of the plays are led through short passes in the midfield and with the wingers giving standout performances this has engaged them in the build-up play in a way that hasn’t been seen in past seasons. This season also shows every player sticking to their role in the field which is essential to a functioning team. Every player is out to perfect their role to the best of their ability, this is important as previous seasons had several players trying to play defense, offense, wing and midfield at the same time. Another major key to the success of the Vikings is the bench. Is it too much to say that this bench might be the best in North Park history? I think not. College soccer is different from professional soccer and allows for far more substitutions and gives way for several changes. This puts large importance on a quality bench and this has been something that has plagued North Park in the past. Today the bench is not far off from the starting team and several sitting players seem equally as applicable for the starting-11 as others. It speaks levels for the quality that this team possesses and the potential for upcoming seasons. Editorial note: After these interviews were conducted, the Vikings men’s soccer team went on to win their first Final Four matchup and placed second in the nation in their final game against Messiah College. Months ago, we witnessed what was promoted as, “The Biggest Fight in Combat Sports History”: five-division world champion Floyd Mayweather vs. UFC two-division champion Conor McGregor. This fight between the two renowned athletes of different sports became the second highest Pay-Per-View event ever, behind only the Mayweather-Pacquiao fight. Was this really because of the competition, or achieved through promotion? Why did we become so interested in watching the best boxer in the world face off against someone who doesn't even box? I can’t shake the feeling that we essentially watched a match akin to Tiger Woods attempting to outplay Serena Williams in tennis. Something so bizarre may be ranked in sports entertainment, but not sports history. Rory McIlroy, Northern Irish golfing champion and friend of McGregor, expressed his suspicions before “May-Mac” when saying, "I'm interested just to see how it all plays out, but I just fear that they do all this trash-talking and they go behind the scenes and they are having a laugh and thinking: I can't believe we are talking all this public for a ride”. Rory Mcllroy further stated before the fight, "We are all buying into it and they are like, can you believe these people believe this. I just hope it doesn't turn into it and I hope it's not in any way fixed”. To say that the fight was potentially fixed may be a bit extreme, but if so then it was perfectly executed. Perhaps he was right, despite the documentaries and extreme promotion legitimizing the fight. Conor McGregor came into the limelight of the UFC partially due to his results, but mostly because of his ability to attract the big fight. The Irishman first mentioned Mayweather ahead of his bout against Eddie Alvarez in November 2016. After winning his second UFC belt that night, Conor made it known in the post-fight press conference that he was after a substantially higher paycheck. He went so far as to say that the UFC should offer him shares in the company due to his significance for the brand. For Mayweather, the 40-year old champion with the chance to break an all-time record in his last fight, the lucrative match was perfect. It was unprecedented and people are drawn to the unpredictable, which goes to show how a fight with an overwhelming underdog could become the second highest PPV ever. There was an overwhelming amount of non-sports related promotion. There was no actual belt on play, meaning it essentially had no significance whatsoever to either sport. McGregor’s first training videos were leaked – odd timing to show off rudimentary boxing skills. When his second training video leaked closer to the fight, McGregor's transformation was obvious: he completely dominated former welterweight world champion Paulie Malignaggi in a sparring session. The levels of doubt and misdirection to the audience did nothing but create hype. As for the outcome, nobody really lost. Pundits were expecting McGregor to be dominated in the ring by Floyd, but the Irishman won the first round on all scorecards and was considered ahead in the early stages, lasting into the 10th round. This was enough to note an honorable performance, while Mayweather still managed to give a dominating show, and have his legacy solidified among the greatest boxers ever. Since the fight wasn’t for any belt, Conor remained the champion in the UFC while laying claim to a fight purse unparalleled within his own arena, meanwhile Mayweather got the chance to end his career with the big “money fight” instead of facing a tougher opponent or even just a professional boxer (GGG perhaps?). Whatever the case may be, “The Biggest Fight in Combat Sports History” worked. It worked for both participants, it worked for boxing, it worked for the UFC, and it gave the public what it wanted. 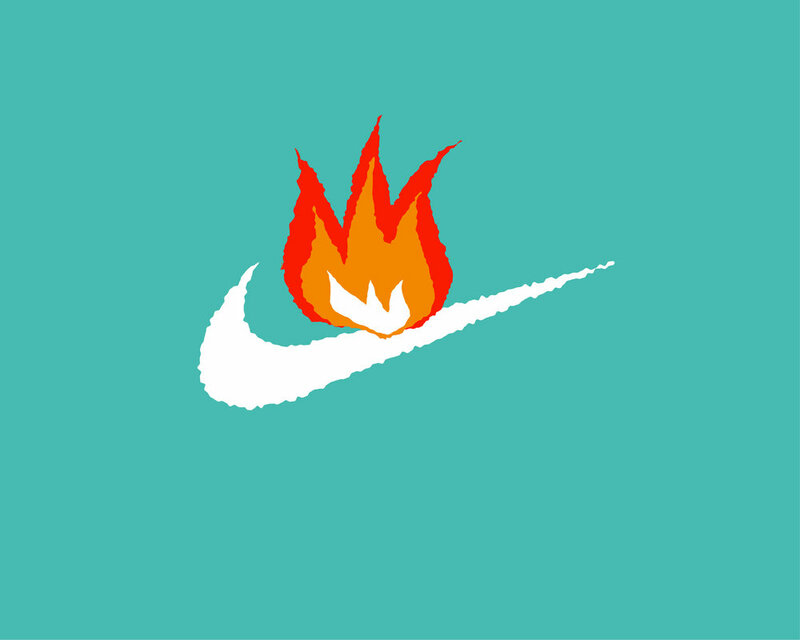 However, its meaning in the world of sports and its significance in sporting history is debatable. Make of the event what you want. Essentially it was an entertaining build up more than anything, and a cool thing to witness. Mayweather Promotions made a good payday, Floyd ended a perfect career without any real risks, Conor lost in an irrelevant sport and made his biggest paycheck while also providing significant marketing for the UFC and Dana White. The conclusion is simple: In great entertainment, everybody is happy. After defeating Carthage at home with a resounding 4-0 win, North Park Men’s Soccer stands as the CCIW Tournament Champions. The already impressive season is continuing as the team has emerged as a solid contender for becoming National Champions. The conference win comes for the first time since 2010 and the fourth time in program history and thus North Park has an automatic bid to the NCAA Tournament. As of right now the team is on a 17-game unbeaten streak after only suffering a 2-2 draw against Carthage in recent games; after shutting down the same team this weekend with 4-0 confidence is high in fans and players. After finishing the conference games, North Park stands as one of the most offensively effective teams in the nation. With 55 goals in 19 games, the team currently has a 2,89 goals per game average reaching almost a three goal per game average. As it stands, North Park is currently ranked 8th in the nation, but is aiming for far more than that. North Park Women’s Soccer suffered a tough loss in their final game of the season against Elmhurst. Perhaps the team was affected by them having lost any chances of advancing in the earlier games as a tough 5-0 loss was evident after the last whistle. Although the team had 13 shots in total and 8 on goal, Elmhurst were highly effective as half of their shots on goal went into the net. North Park thus finishes the season with a 6-11-1 record in a season that had ups and downs but showed improvement from last season. It is unclear what we can expect next season from this team but the fact that the team is improving season by season cannot be debated. If next season is the season of advancement in the conference stands to be seen. Senior Day festivities were big in this weekends’ Football match between North Park University Vikings and the visitors of Caroll University. A confident 37-6 win ended a good day of football in which the great atmosphere overshadowed the bad weather and boosted the team to its third win of the season. North Park started off the game incredibly by leading the first half of the game with a remarkable score of 23-0. Finally the game ended with a 31-point point difference and North Park handed Caroll their eighth loss of the season. As it stands the Vikings have a 3-6 record on the year and 2-5 in conference. Their final game of the year will be against Carthage College. The Vikings beat North Central with 3-0 in their final game of the season. The win marks the end of a season that brings excitement and hope for a growing team. While finishing 5th overall in conference play with a 16-14 record, the 3-5 record in conference ties a program-best three wins. With the team showing great potential during the season it is time for them to elevate into a winning team for next season, with them already having an overall winning record, it is time for this to be reflected in the conference games. Sitting at a record of 3-5 with a future high draft pick, and the prospect of having a new coach next year, the Bears are in a bit of a pickle. However, 3-5 is not all the players’ fault. Bad coaching and personnel decisions have cost the Bears dearly in the past few seasons. This past April, the Bears traded up in the draft with the San Francisco 49ers from the number three overall pick to the number two overall pick. The Bears gave up a third and fourth rounder this season, and a third rounder for next season to move up one spot. The pick was used to select quarterback Mitchell Trubisky from North Carolina. Apparently, the Bears were afraid that San Francisco would pick Trubisky. This was eventually proven to be false as the 49ers were instead interested in Solomon Thomas, a defensive lineman from Stanford. The move was a bold one from a franchise who doesn’t make headlines like this regularly on draft day and really seemed more like something a team like the New York Jets would do. Moreover, the Bears had recently signed quarterback Mike Glennon to a 3 year contract with $18.5 million in guaranteed money. The bulk of that guarantee is paid in the first year as Glennon will earn $16 million in guaranteed money this year. After a 1-3 start, Coach John Fox reluctantly pulled the plug on Glennon, as he forced turnover after turnover. After watching the Jay Cutler wheel of despair for several years, I could not watch them play and it seems Mike Glennon is the same case. After starting his rookie year with the Tampa Bay Buccaneers and going 4-9, that following year the Buccaneers drafted quarterback Jameis Winston with the number one overall pick. Mike Glennon held the clipboard for two years, Mitchell Trubisky on the other hand, the quarterback from North Carolina, only has one year of starting experience in college. However in that one year, he passed for 3,748 yards, with a 30 to 6 touchdown to interception ratio, and a 157.9 passer rating. I was a bit skeptical of his one year of starting experience. How come he couldn’t beat out Marquise Williams, an undrafted quarterback for 2 years? Trubisky explained that he and Williams competed for the job, and that North Carolina head coach Larry Fedora made the decision. Trubisky believes that he deserved the starting job. In the Week 5 loss against the Minnesota Vikings, Trubisky looked better than previous Bears signal-callers. Trubisky’s main strengths are getting out of the pocket and getting the ball out quickly, and the team looked energized with Trubisky in the huddle. The ground game was good, anchored inside by guards Josh Sitton, Kyle Long, and center Cody Whitehair. Jordan Howard and Tarik Cohen form a “Thunder and Lightning” duo. Howard gets the tough yards, and Cohen grabs the big plays. Last year, Howard was the second leading rusher in the league, and Cohen so far has been electrifying, I can say that I haven’t seen a player like that since Devin Hester. Whenever he touches the ball, a big play might happen and Cohen can catch the football out of the backfield as well. The receiving corps on the other hand, is nonexistent. The cupboard is completely bare. After letting Alshon Jeffery walk in free agency, the Bears believed former first round pick Kevin White could be a number one threat. Since he was drafted seventh overall in 2015, White has been plagued by injuries. He missed his entire rookie year, when he has seen the field he has been invisible. With 21 receptions for 193 yards and zero touchdowns he is so injury prone, that I would consider him a bust. Cameron Meredith, who is also injured, broke out last year for almost 900 yards receiving and 4 touchdowns. This leaves a group of unproven players like Kendall Wright, Markus Wheaton, Tre McBride, Joshua Bellamy, and Tanner Gentry. On paper, the Bears are thin at receiver. During roster cuts, they cut wideouts Victor Cruz, and Rueben Randle, and recently, Deonte Thompson. On defense, the secondary is completely revamped with starters on all four spots. We can expect to see Prince Amukamara and Marcus Cooper at the cornerback positions, and Quintin Demps and rookie Eddie Jackson at the safety spots. The secondary has been the weak spot of the Bears defense the past few seasons, with a rotating door of players. The Bears switched from their traditional 4-3 scheme in favor of defensive coordinator Vic Fangio’s 3-4 alignment in 2014. The results have been gradually getting better with the personnel brought in. Defensive tackle Eddie Goldman out of Florida State is anchored at the nose tackle position. Defensive end Akiem Hicks, outside linebackers Leonard Floyd, Pernell McPhee, and Willie Young anchor the pass rush, and inside linebackers Jerrell Freeman and Danny Trevathan stop the run. The defense has not been short of injuries, however, with Demps, Young, and Freeman currently being on IR. In year 3 of the rebuild, GM Ryan Pace and coach John Fox are under pressure. In Fox’s previous stops, by year 3 he has turned the team around and gotten them to the playoffs. The Chicago fan-base is getting apathetic, and Soldier Field has more and more empty seats on game day. They aren’t ready to contend yet, and probably won’t for several more years, but with Trubisky at quarterback, a solid running game, and a feisty underrated defense, the future looks semi-bright. Maybe in the near future, the Bears can roar like the ol’ Monsters of the Midway.